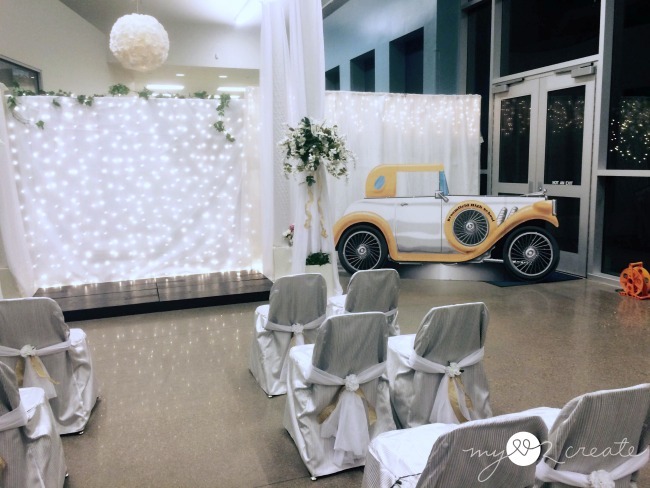 A few months ago I had the opportunity to help a friend, that was in charge of "The wedding chapel" for our high school After Prom party. I was super busy and didn't get to help her out as much as I had wanted, but I was able to make a Flapper Girl and Selfie Sign. I guess it was better than nothing. 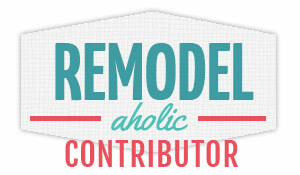 It was super fun to be involved and even though I didn't plan on blogging about these projects, I decided to share anyway. 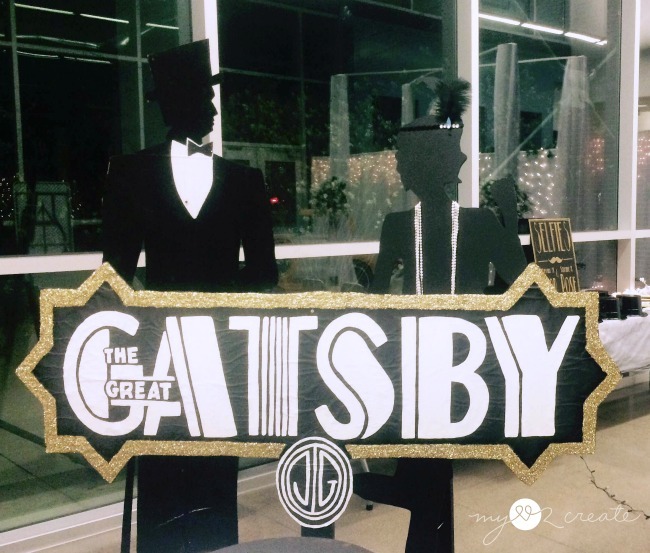 Who knows you might be planning a "Gatsby" themed party...right?! Or a wedding chapel? Besides, my friend did an AMAZING job on the room I wanted to brag on her a bit, doesn't it look AWESOME?! Mr. Tux guy was already built and hanging out in our HS Jam Shed (aka the after prom party shed, which is HUGE and filled with amazing creations, seriously amazing, people work on this thing all year, and they save projects to be used for future years). 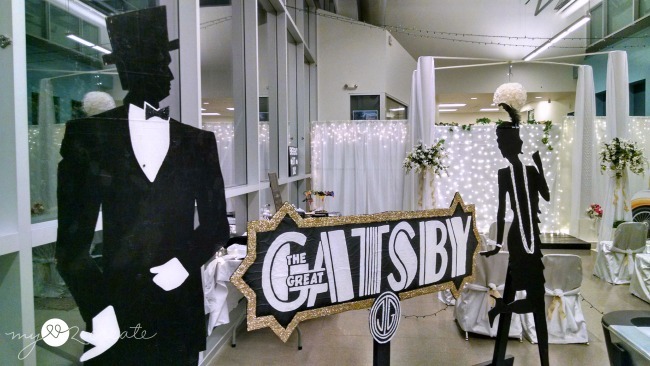 The Great Gatsby sign was also made, and I think my friend fixed it up a bit. In the planning process we decided it would be fun to have a flapper girl to go with Mr. Tux guy. So I made one. 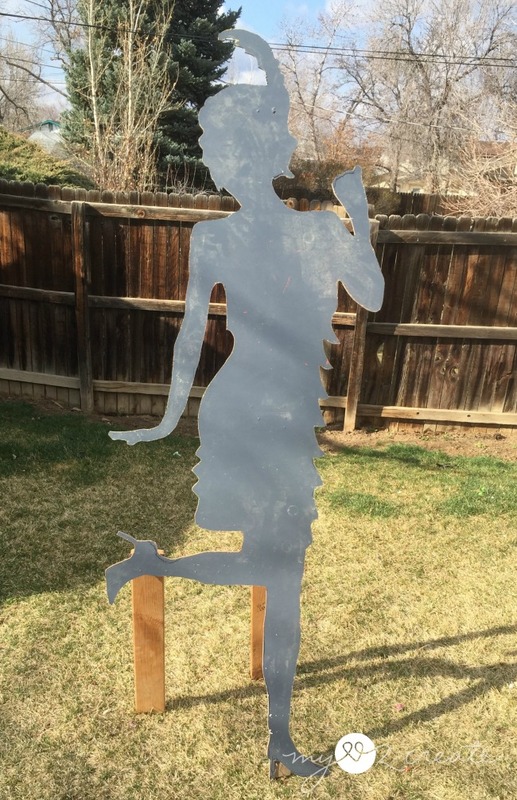 The first thing I did was find a silhouette of a flapper girl online. Then I printed it onto a transparency page. 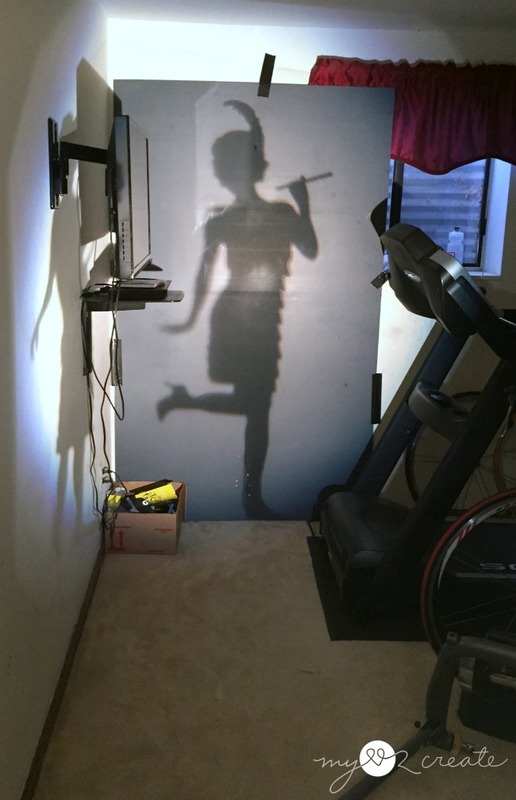 I borrowed my husbands work projector and projected my flapper girl onto the back side of an old wall panel piece (from the Jam shed). Once I had my projected flapper girl to just a bit shorter than Mr. Tux Guy, which was about 6 feet tall, I proceed to trace around her outline onto the board. I had to do this in my basement workout room because it was darker down there, it was too light upstairs during the day. It didn't take very long either, and I had her copied and ready to cut. I want to note that I glued two wall panel boards together to make my flapper girl sturdy, but light. 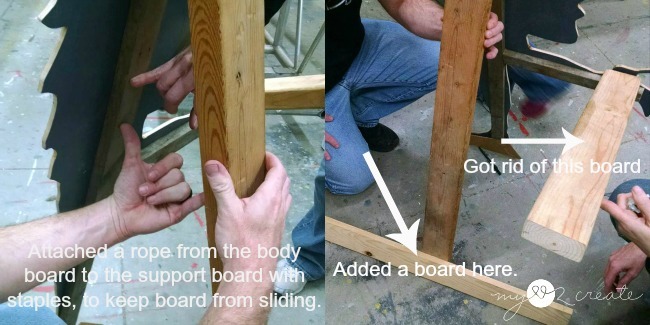 I used Gorilla Glue (the expandable kind) all over one board then set the other board on top (groove sides together) and used weights to "clamp" them together. I suggest using a 1/4 thick material, we were just reusing boards that were in the jam shed, so we didn't have to spend any money. :) I had photos of the glueing process and cutting out the flapper girl (I did the cutting with a jigsaw) but because I wasn't going to blog about them I must have deleted them, I looked for them, but they were gone...sorry! 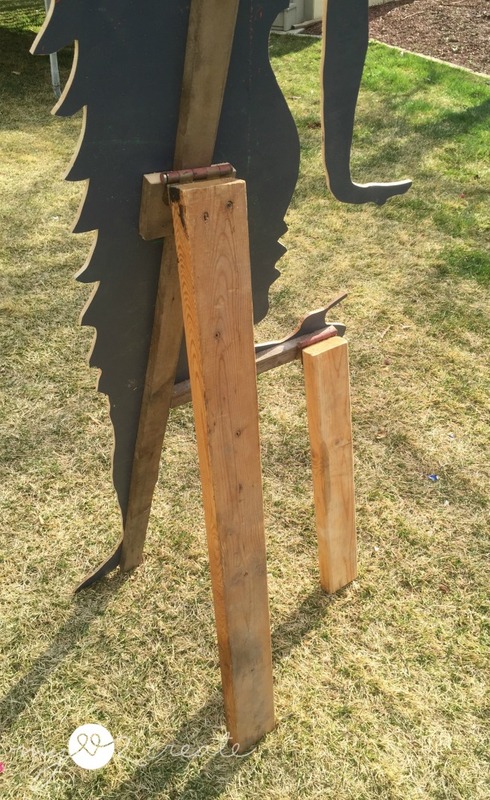 Since this Flapper girl needed to stand, I rigged the above method pretty quick with a scrap 1x2 on the back of the flapper girl, and scrap 2x4's and old gate hinges. I needed to make it a bit more sturdy than it was, but I had to go to something for my kids, so I passed it onto my friend to have it painted. A few people at the jam shed had some suggestions, so I made the above alterations to make it more sturdy, and look better too. I didn't like the board off of her flipped up foot, so I was glad to remove it. Here she is all painted and wearing her pearls! The only other time I have used a projector was on my Large DIY Bracket (cut out) Frame, it is a fun way to make things on a large scale. You don't even have to cut things out, you could just project an image on the wall and paint it! My Sister and brother in Law did their kids rooms with huge sport logos on the wall, they were pretty cool. 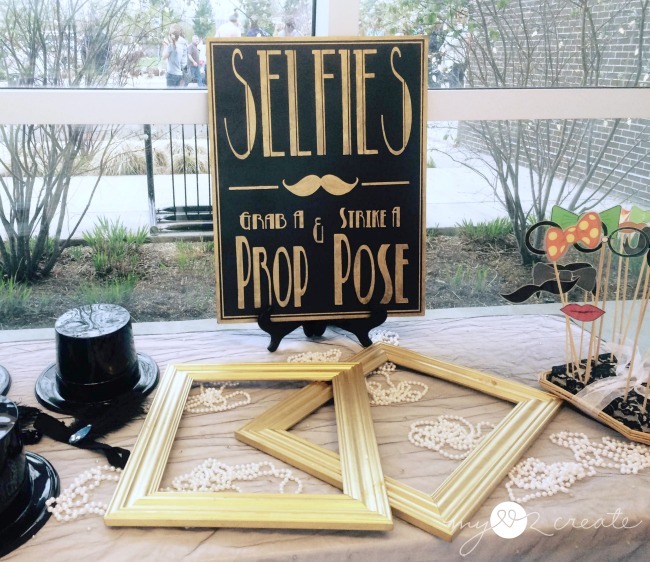 Since the room my friend was doing was a wedding chapel she wanted a prop table so the kids could take some fun selfies. 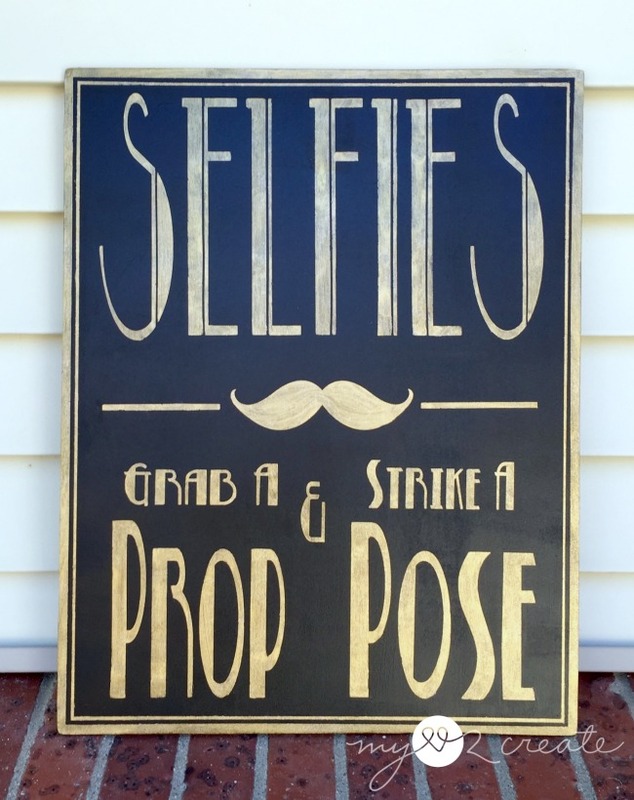 She sent me a gatsby photo booth image and wanted me to make a sign for the table. I found some fun free Gatsby fonts on the internet and downloaded them to my computer. Then I used my Cricut Design Space to create this Selfie design. Once it was created I cut it on my Cricut Explore with contact paper. 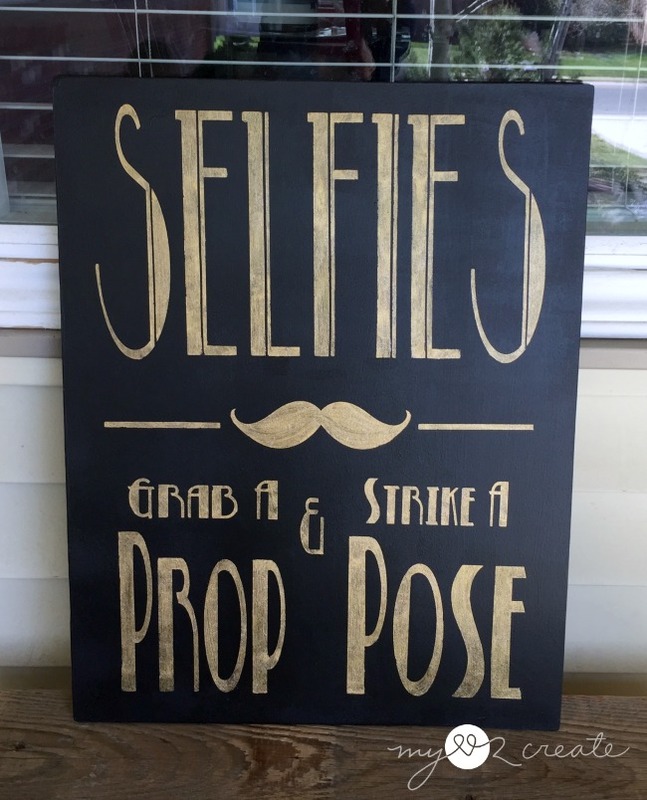 I used the stencil to paint my sign with one coat of gold paint and one coat of glitter paint. Tips: When stenciling, always load and unload your brush (you want hardly any paint on it). Also make sure to remove the stencil as soon as you are done with the last coat, the paint will be a little wet, this helps prevent peeling. If you have touch ups, use a small angled brush. When I finished with the sign it just didn't look finished...it needed...a boarder! With a little scotch painter's tape and more gold and glitter the problem was solved. 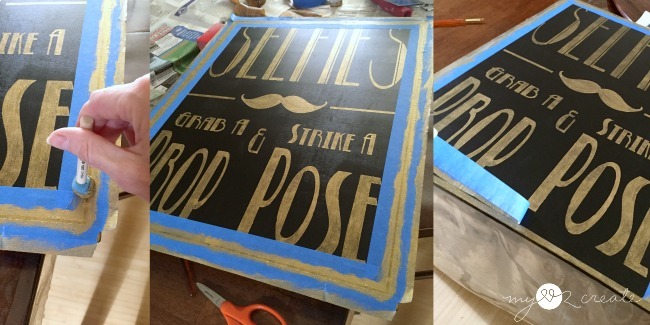 I did a large and small stripe to match the selfie lettering. Pearls, flapper headbands, and gold frames! I am sure the kids had a ton of fun dressing up and taking some great silly shots! Check out the awesome car! It was from the jam shed too, told you it was filled with cool stuff. It was the Selfie backdrop, I am sure it made the photos look amazing. 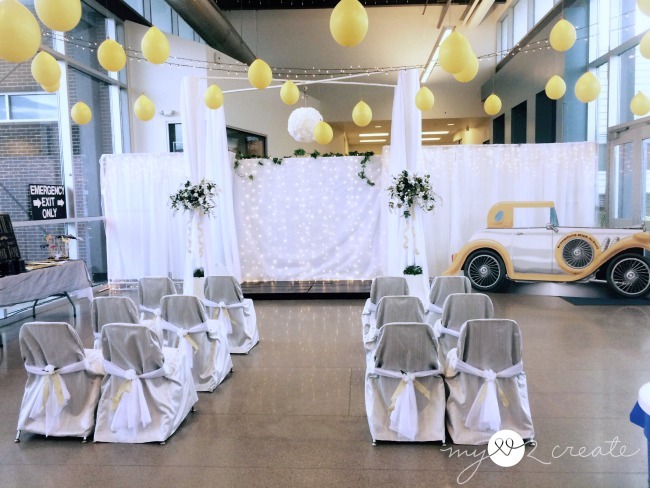 The platform was where the kids were "married" with that awesome tissue paper chandelier was back lit with two strands of waterfall lights that alternated blinking. It is kind of hard to see from this angle, but the platform has four cardboard columns that were covered in sheers. The pvc was cross connected at the top of each column to hold the chandelier. The sheer walls were held up by pvc too. With the hanging gold balloons and draped lights it was a magical place! I couldn't be there for the final night because it was the same weekend that I attended the SNAP conference, so I am thankful to my friends who gave these final room shots! 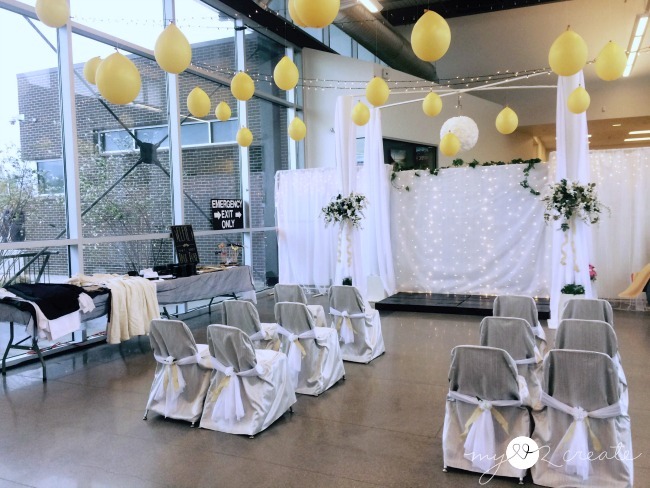 I was super impressed with how it all came together, too bad I couldn't be in two places at once! So what do you think, are you up to making a huge cut out or a selfie sign? 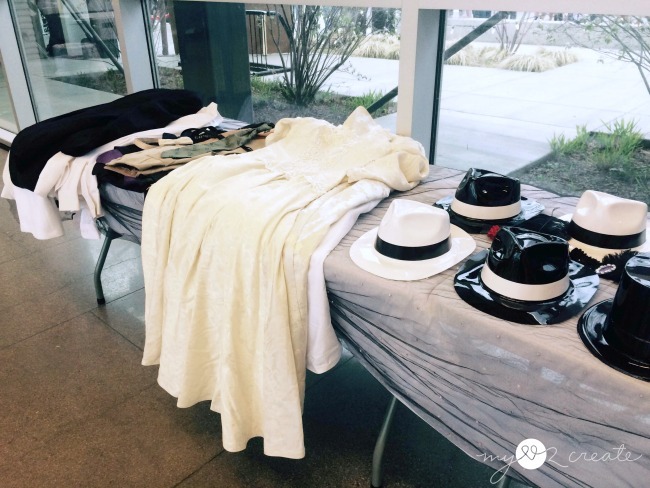 Maybe throwing a Gatsby party? Wow! I love this! 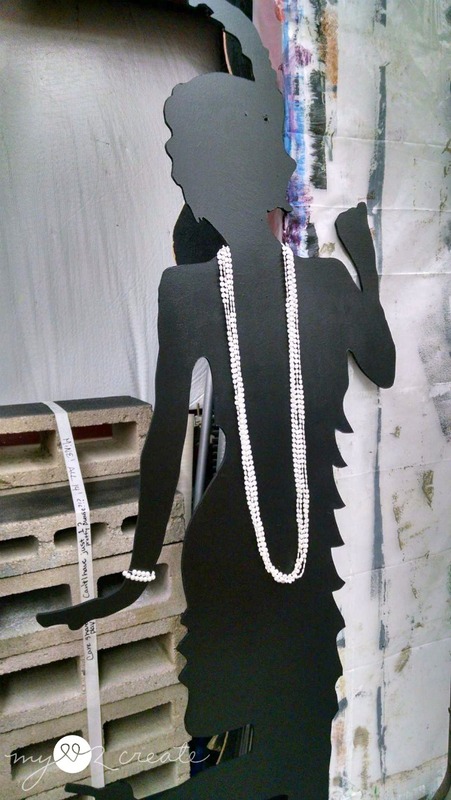 Your flapper lady is fantastic and the pearls add that little extra touch to make her amazing! Too cool about using your husbands work projector. One could draw / male all kinds of stuff with that. The sign is super awesome! The font is perfect of course! Love the metallic gold and border. I'm sure everyone had a blast! 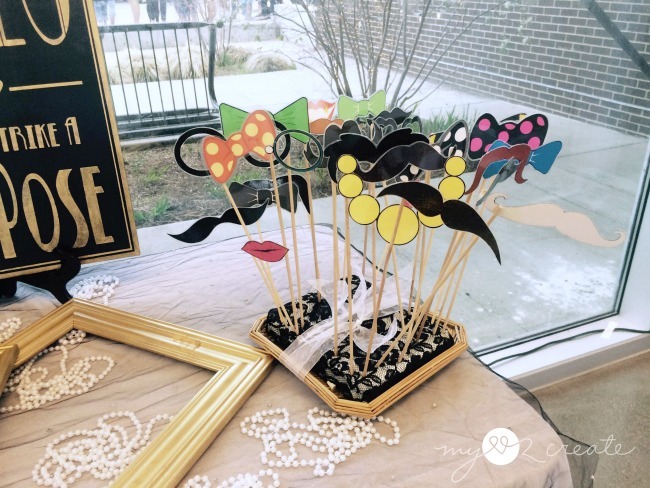 Did your friend tell you how the selfie station went? Wow! 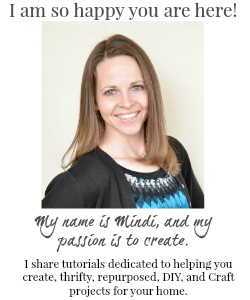 Everything looks great Mindi! I love flapper girl, and all the other decor is fabulous! 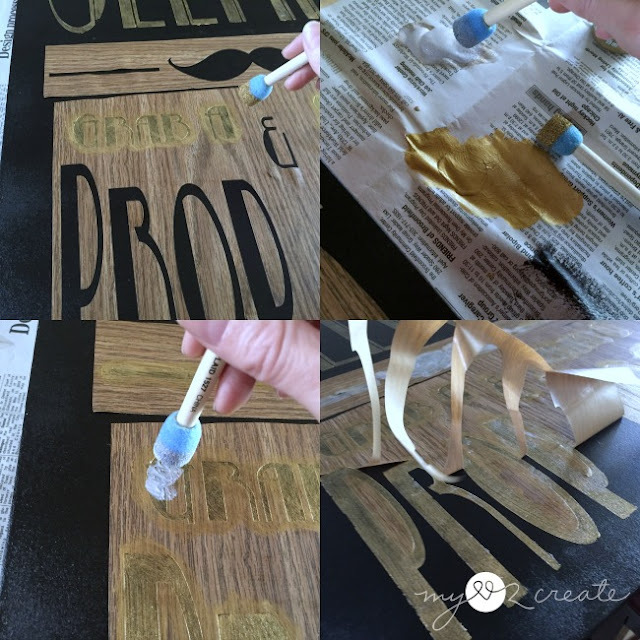 Great tips on the stenciling and the border. Super cute! 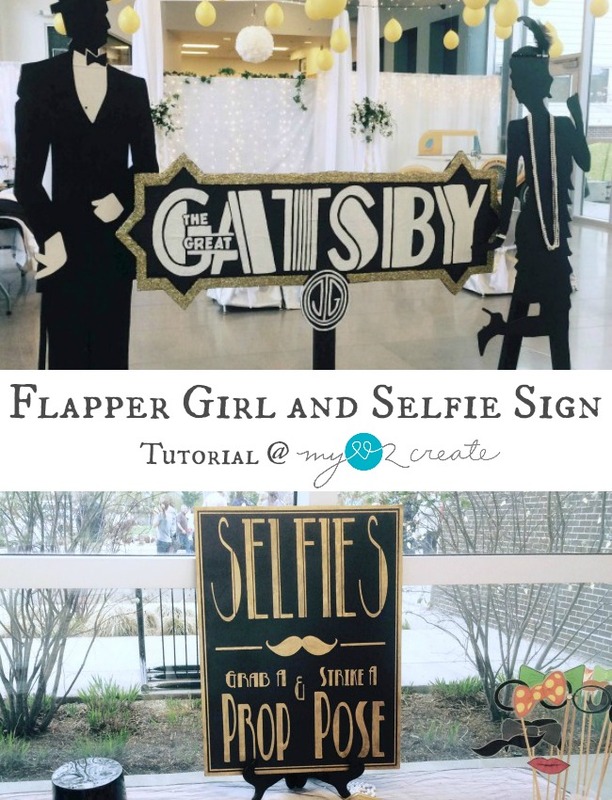 I love the flapper girl and the selfie sign is so fun! Thanks for sharing with SYC. How absolutely adorable and creative! What fun they must have had and what great memories they must have made!